Panaya Success Center How to Run a Test Manually? This article describes how to manually pass or fail a Test Step without using the Panaya Testing Tool. You can attach one or more images or documents to support your manual run. It is highly recommended to fill in the Actual results (5) and a relevant comment. 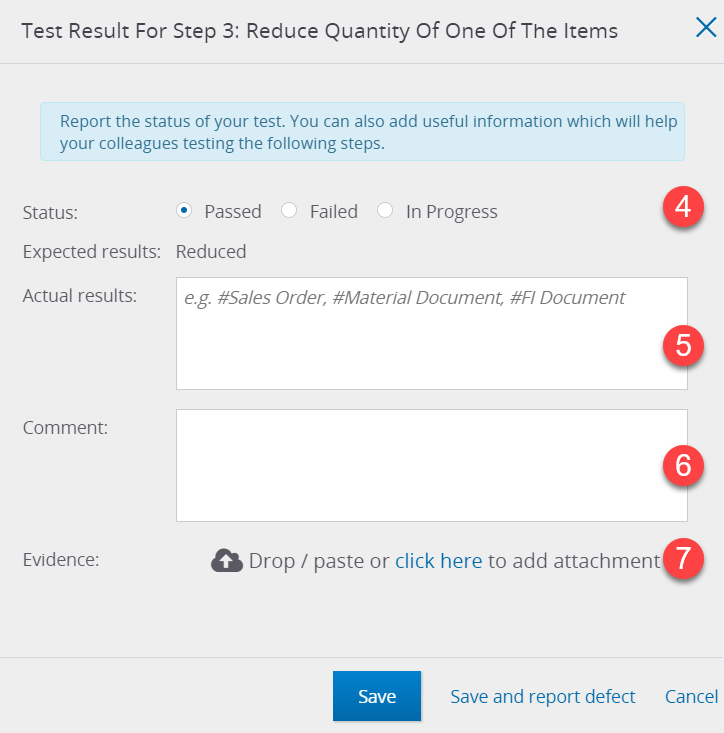 Manually passed or failed Steps will appear with the corresponding uploaded attachment as Test Evidence under the All Runs tab (Highlight a Step and then select View Step). Manually passed or failed steps with no attached evidence will appear in the All Runs tab with no corresponding evidence, as shown below.